It’s been a few months since I painted anything for Whitby Galleries. Then completely by surprise an avid collector of my work bought quite a few paintings all in one go. Thank you whoever you are, you are AWESOME and it really means a lot to me! 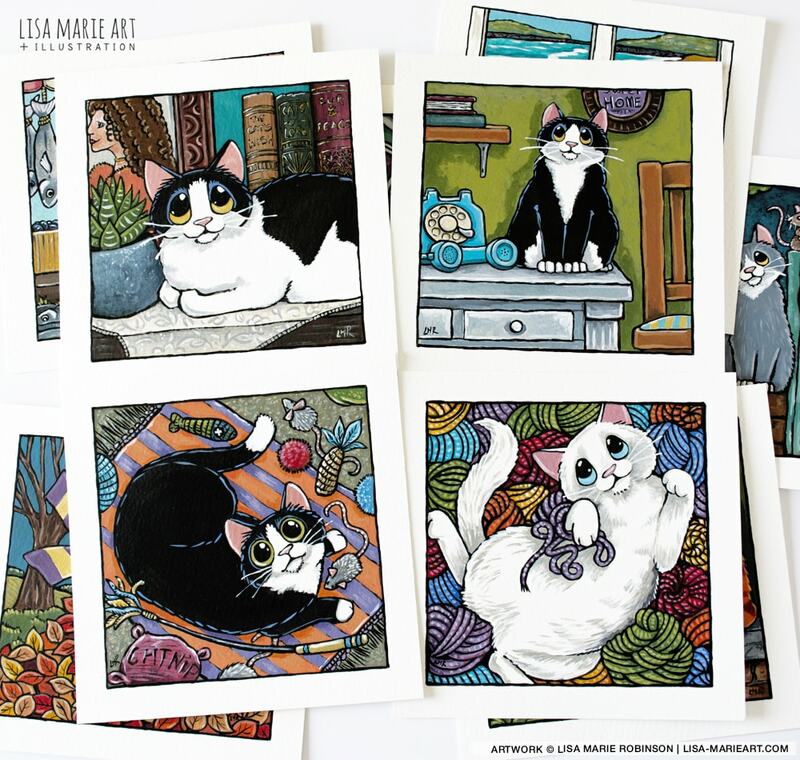 So, I’ve been sitting for the past 3 weeks painting some new kitty capers so that there is something in stock over Christmas. The reason why it’s taken me a bit longer than usual to get these completed is down to a few things. One. I tend to suffer from creative block at the worst possible times (there’s a reason for this which I’ll talk about in another post.) Two. I’ve also been working on some Christmas decorations which you can read about further down this post. This month’s offering of kitty capers has a slightly seasonal feel to it. Rather than go full on Autumnal I decided to use a lot of Autumnal colours. Okay. You got me. There is one very windy & leafy autumn painting but the rest are mostly seasonal in colour only. Oranges, yellows, reds, browns. That sort of thing. 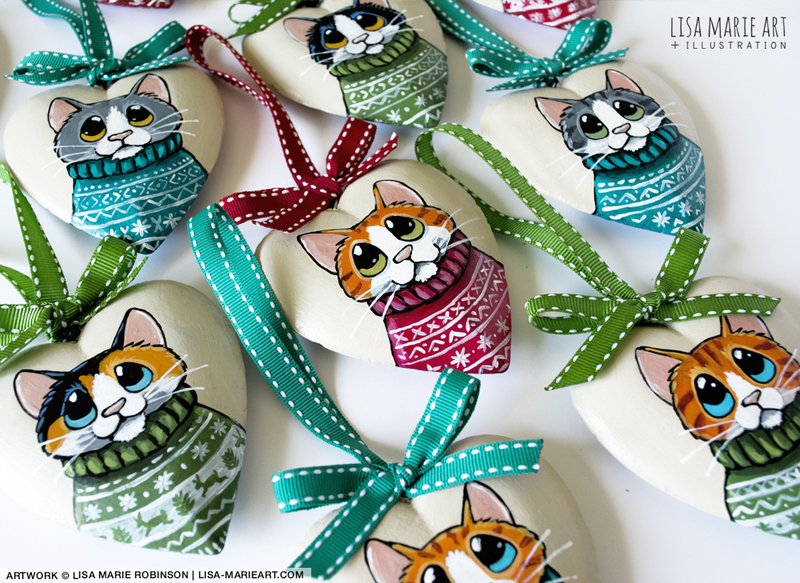 Joining the paintings this month are a batch of cute festive hanging heart decorations. 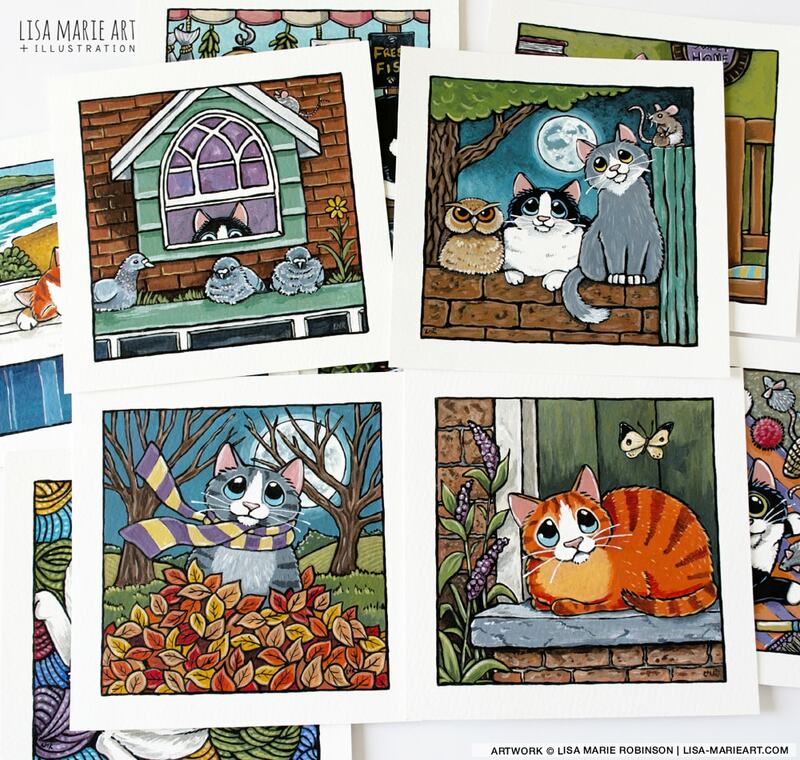 Each one has been painted with a cat wearing a Christmas jumper. 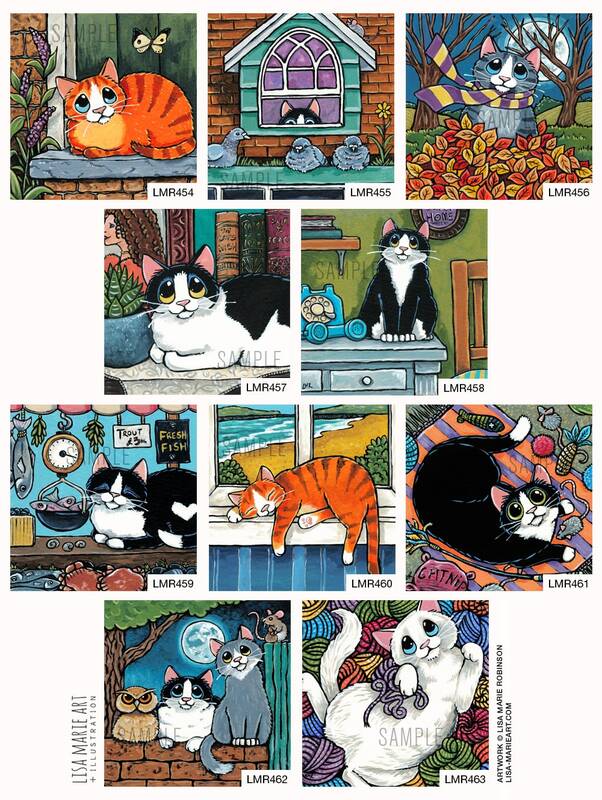 There are 10 in total with a nice selection of cat colours from tuxes to tabbies. I’ve deliberately chosen 3 of the most festively coloured ribbons (cranberry, teal, and green) and painted the jumpers to match. These paintings are exclusive to Whitby Galleries. If you are interested in my work and would like to buy or reserve a painting please contact them directly. I have provided the names and ref no. of each painting below. You can use these to make it easier for you when enquiring about my work. Reservations and orders can be taken by phone, email, or by popping in to the gallery. Alternatively, you can get in touch with them via Facebook. * Sold status and prices are correct as of April 16th, 2019.